Kola borehole. 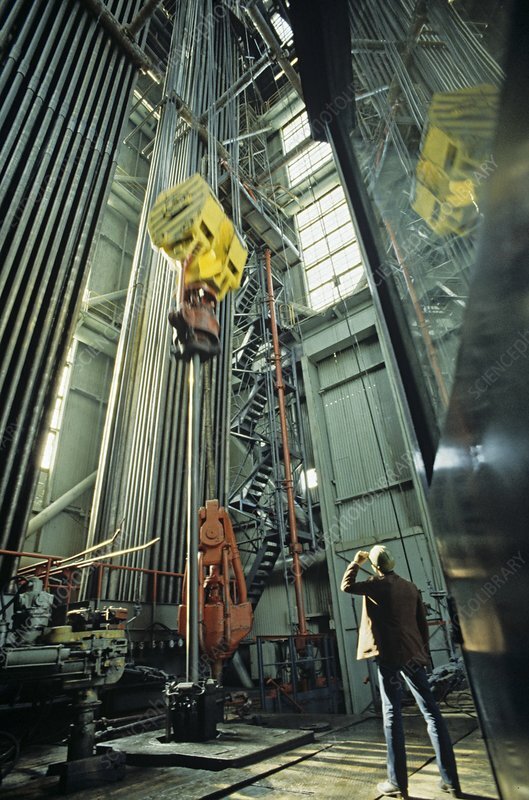 View of the drilling mechanism inside the tower of the Kola ultra-deep borehole. Kola was a scientific drilling project by the Soviet Union on the Kola Peninsula, Murmansk region, Russia. The project attempted to drill as deep as possible into the Earth's crust to explore the lithosphere.